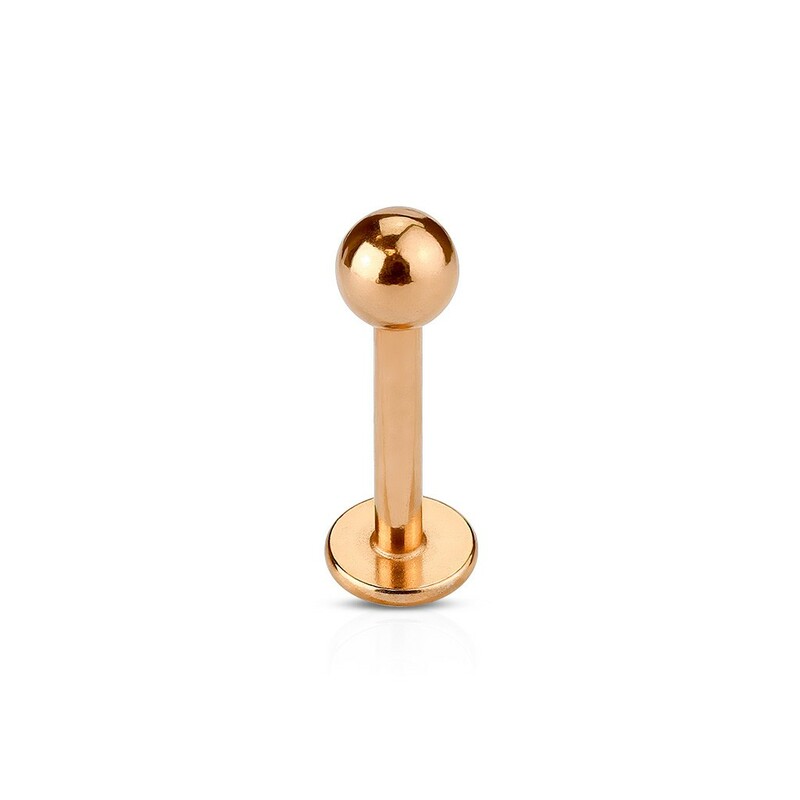 Made of 316L surgical steel this labret is gold plated with 18 Kt rose gold. Rose gold has a deeper tone of color and has therefore a warmer character. Please note: gold plated piercings that have intense contact with fluids or friction will lose their layer of gold after a period of time and show the underlying steel.